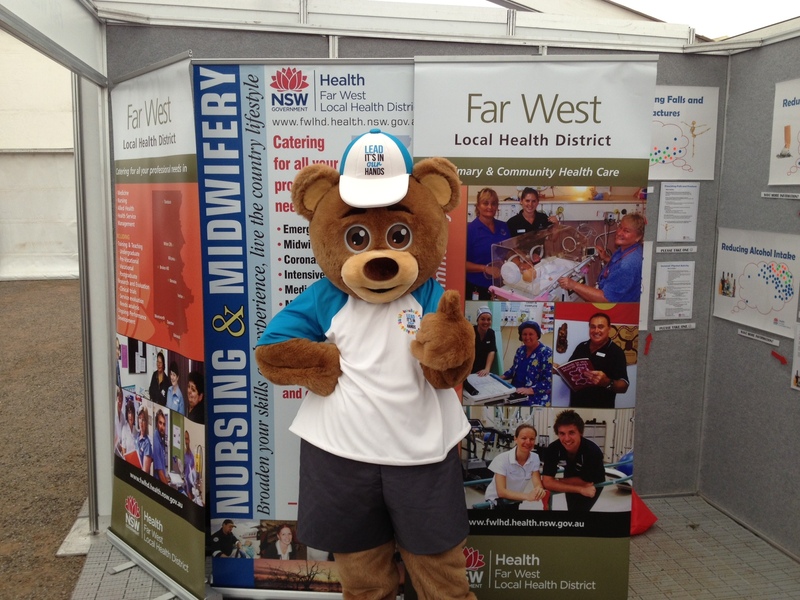 A head to toe approach to your health is being promoted by the Far West Local Health District at Agfair 2016. 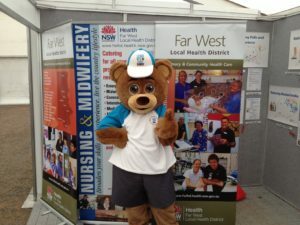 The Far West LHD booth in the Rotary Pavilion will be promoting “Stay Healthy from Head to Toe” by showcasing the variety of health service disciplines and areas that work together to ensure our communities are as healthy as they can be. People will also have opportunity to conduct a short online health survey at the booth. The health survey will help people to understand how healthy they are, what health risks they may have and what they could do to improve their health. The survey can be completed on tablets with your results sent to your home email address. Health service areas being promoted include Maternity, Allied Health, Dental, Lead and Mental Health. The District is also highlighting the importance of volunteers and the employment and career opportunities available within the organisation. A feature display will show how all these areas interact to help everyone stay healthy and connected. “We are promoting the District’s Integrated Care Strategy ‘Staying Healthy Program’ which is an early intervention program focusing on engaging with people living in Broken Hill and across the Far West LHD who are at risk of developing lifestyle related chronic disease such as cardiovascular disease (heart disease or stroke) and diabetes,” said Ms Denise McCallum, Project Manager Integrated Care at Far West LHD. “The program targets 20-55 year olds that are at risk of developing a chronic disease through current lifestyle choices such as drinking alcohol at harmful levels, smoking, inactivity and poor dietary choices,” she said. The Staying Healthy Program puts you at the centre of your care and supports you to better access and connect to the health providers and services you need to make changes to your lifestyle to stay healthy and to improve your health in the future,” said Ms McCallum. “We hope people take this opportunity to get a snapshot of their health risks that may help them decide if they need to seek further advice or help,” said Ms McCallum. The Far West LHD booth will also provide information on a variety of current health services available in the area and fresh fruit and water will be given away for free as well! Special Guest Appearance by Lead Ted Jnr! The FWLHD booth will also feature a special visitor – Lead Ted Junior! The cuddly mascot of the Child and Family Health Centre Lead Health Program will be appearing on both days – Friday at 10am and 2pm and Saturday at 11am and 3pm. Lead Ted Jnr is looking forward to meeting the people of Broken Hill especially all the children and helping to raise awareness of Lead Health in the community. The Far West LHD stand can be found in the Rotary Pavilion at Agfair 2016.